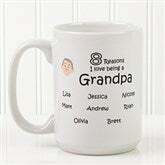 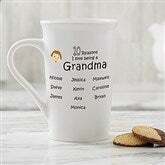 Choose grandparent, adult, youth, or baby figures, male or female, light or dark complexions, hair color, even pets! 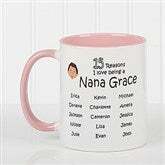 Why do you love being a Great-Grandma, Nana, Mommy or special Auntie? 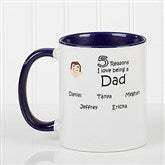 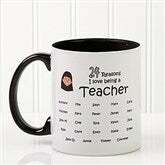 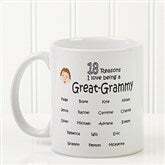 The answers will be perfectly clear with our So Many Reasons Coffee Mug!